People walk past a branch of Lloyds Bank on Oxford Street in London, Britain July 28, 2016. Standard Life Aberdeen on March 19 said it had won a legal battle to stop Lloyds Banking Group from terminating a 100 billion pound investment management contract three years early. The UK bank’s Scottish Widows unit gave Standard Life Aberdeen notice of its intention to terminate the contract in February 2018, arguing that the fund manager had become a major competitor. But a tribunal ruled that Lloyds did not have the right to do so. Standard Life Aberdeen said it was carefully considering the terms of the decision and appropriate next steps. Scottish Widows said it was disappointed by the decision, but that it still intended to transfer the assets to BlackRock and Schroders. Standard Life Aberdeen shares were up 1.4 percent at 270 pence by 0945 GMT on March 19. 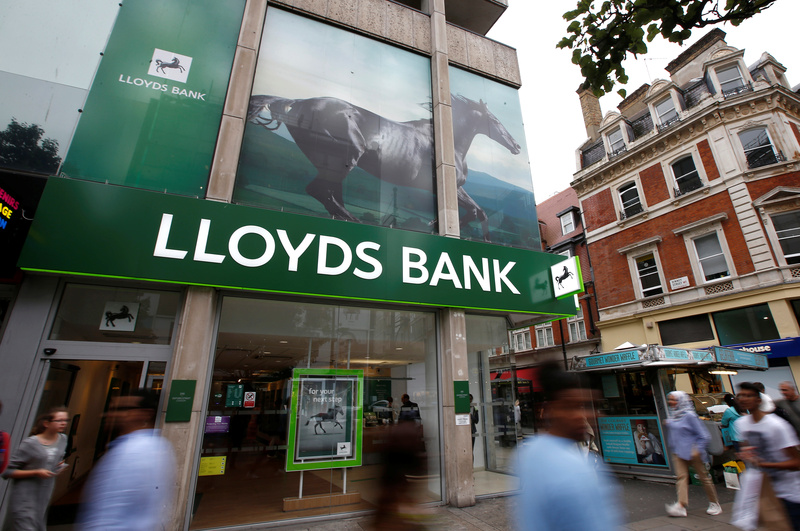 Shares in Lloyds were up 0.8 percent at 65.9 pence.